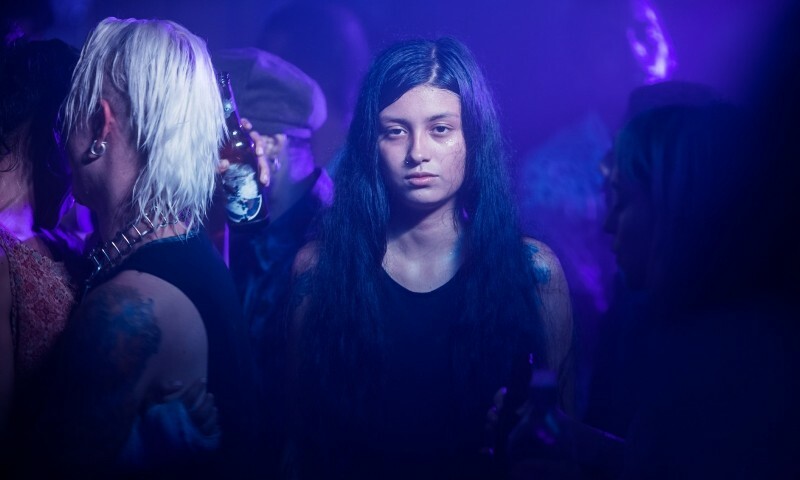 Revenge movies are usually bullet and blood filled features that shoot for body count more than anything else although Colombian director Laura Mora takes a decidedly different approach for her take on the genre. Inspired by true events, her hero, played by newcomer Natasha Jaramillo goes down a much darker path of getting to know the young man who killed her father and seeing how life in their crime riddled existence can turn a person to desperate measures. At first she is waiting for just the right time to exact revenge but after a while, she almost begins to depend on her target as a companion and protector. The cinematography is handled beautifully by James L. Brown as he manages to find a unique perspective and beauty in what would otherwise be seen as a run down ghetto type setting. 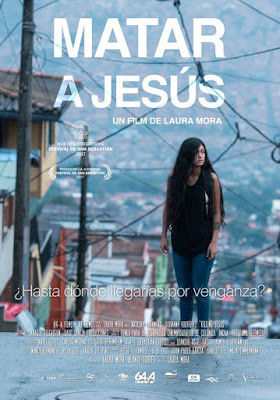 Mora populates her film with real people and interestingly finds ways to show how similar Lita and Jesús' family and friends are even though they share vastly different social and economic backgrounds. There is a lot to learn from this movie and the creators do a great job of mixing in a fair amount of social and political commentary without overpowering the heart of the story which is Lita's journey and realizations about life. Killing Jesús is much more than a basic revenge story and ends up being an eye opening look into a part of the world most of us know nothing about. Corruption, poverty, crime, and oppression lead to events like this happening every day round the world. All we can do is learn from it and try to make the world a better place. Killing Jesús is an official selection of the 2018 Seattle International Film Festival.